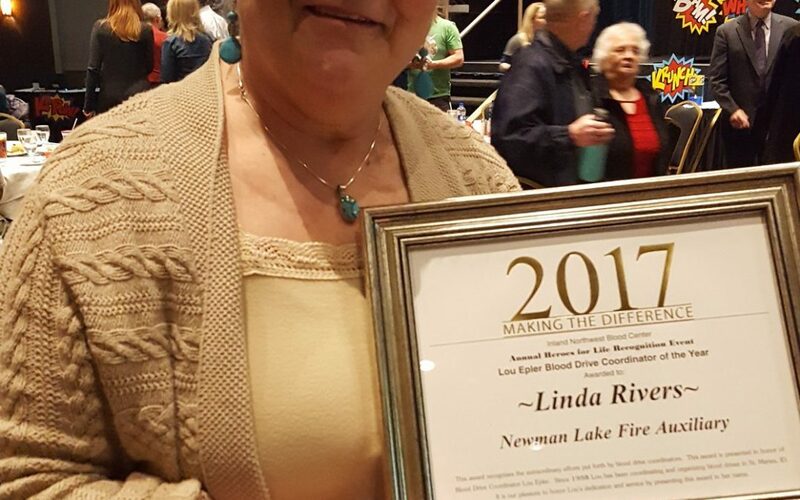 Linda Schulz Rivers was recognized by the Inland Northwest Blood Center for the blood drives she has coordinated over the years! Actually – at their April 11th event, she was named BLOOD DRIVE COORDINATOR OF THE YEAR! Wow! We are so proud of you Linda! We are also proud of the way the Newman Lake Community responds to your blood drives!